Last evening, for example, I watched “Letters to Jackie: Remembering President Kennedy.” The assassination happened Friday and by Monday some 45,000 letters had arrived to Mrs. Kennedy at the White House. Over the next two months, the number reached 800,000. Among them was a letter from me. Handwritten. In green ink as I recall. When I mentioned the letter to H. yesterday he remarked, “You were compassionate, even then.” Well, that was a very nice thing of him to say, and it blessed me, but in fact, I’ve always felt slightly embarrassed about my letter. As an adult, I mean. Because of how naïve it was, even at 13. Here it comes… I actually invited Jacqueline Kennedy and her children to visit us in order to recuperate! I suppose I thought, since the lovely Kennedy family was “given” to the public via the media — to Canadians as well — that I knew them. I was one of eight children and our family was energetic and wonderful too, surely our home would be the perfect place for her to grieve. Can you imagine? A box of a house that had one bathroom for a family of ten in a small village in the back hills of Alberta? Right, let’s go there! Anyway, I later learned that Mrs Kennedy didn’t – couldn’t – read all those letters. And I’m sure, and am relieved, that mine was not among those passed on to her by the secretaries who handled them. But she did read some of them and she was grateful for the outpouring of sympathy their sheer volume represented. One day, unexpectedly, I received an elegant black-bordered printed white card in the mail, saying formally that Jacqueline Kennedy appreciated and thanked for the thoughts. If you hold to other views about the whodunit, you may count me as naïve on that score perhaps as the 13-year-old me was about how Mrs. Kennedy might like to be comforted. At any rate, this week, the tragedy, the sadness has been running on Repeat. I hadn’t realized how charmingly humorous JFK was. I review the astonishing wonder and optimism the space exploits embodied, and simultaneous fears for the future because of the Cold War and Cuba. I review the profound inbreaking of the civil rights movement. Tears rise, again, at the riderless horse and the sound of drums in the funeral cortege. Over and over, blood explodes at the president’s head. It still seems unbelievable, and so heartbreakingly unfair. 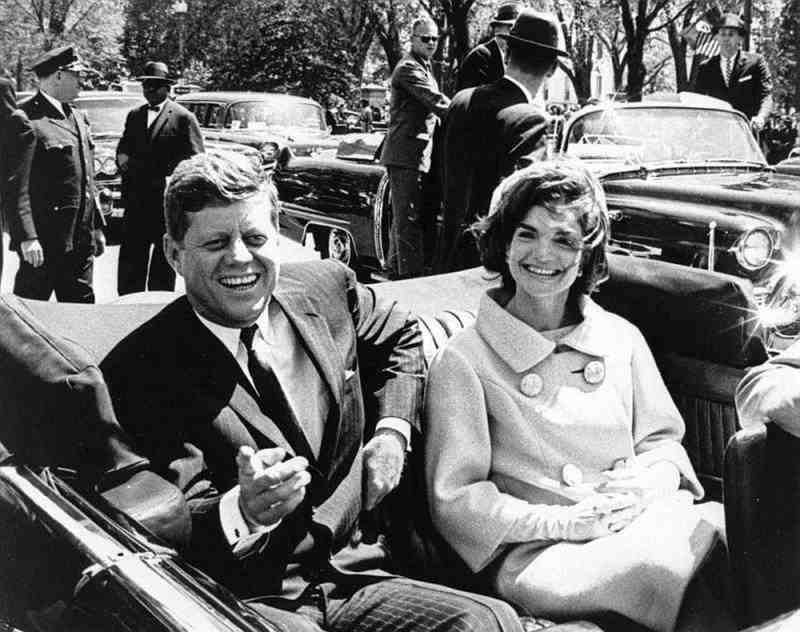 This entry was posted in Current events, Personal and tagged "The Lost Bullet", JFK assassination, Letters to Jackie, remembering JFK by doradueck. Bookmark the permalink. Dora, as so many others, I too was profoundly saddened at the death of someone who seemed close to me, even though I had never met him. I was at my first job after high school, working in the bookstore at the Christian Press (where the Mennonitische Rundschau and the MB Herald were printed and published) in Winnipeg. H.F. Klassen, then the editor of the M.R., came home from his lunch break and announced the news to everyone. Then he went into his office and shut the door. He left us standing there, our mouths open, our eyes filling with tears. Words can never describe that shattering moment. I love your story of writing a letter to Kennedy’s widow and inviting her to stay with you! Oh Dora, I know exactly what you mean about naive compassion. I laughed at your great description of how preposterous your offer to Jackie now seems. But I too wanted to so much to be a healer in this time. I was 16. I created my own book, complete with pictures and essays as an act of commemoration. If you subscribe to Magical Memoir Moments, you will get a little memory of my own tomorrow. Thank you, @Elfrieda and @Shirleyhs, for your stories. Yes, Shirley, I do subscribe to Magical Memoir Moments (readers: these are available through Shirley’s website, great memory jogs coming to you on a regular basis! ), so I mean your story there. I like the details in these stories. The high school teacher in yours, Shirley, slumping onto the heating unit at the side of the room when the news came over the loudspeaker. In yours Elfrieda, Mr. Klassen shutting his door, the rest of you standing there stunned. — From the responses to this post at Facebook, memories too: a six-year-old experiencing it because her mother cried so much over JFK’s death, a couple who spent the entire weekend watching, hearing about it in South America, and so on. The way we locate ourselves physically in relation to significant historical events fascinates me. When I check memories against my mother’s diary, I am usually surprised to see how naive I was. Was I really that old? So, Dora, I loved your practical and generous response as a 13-year-old. I remember April 4, 1949 when I was ten years old and very worried about the U.S. signing the NATO pact. Didn’t God warn the children of Israel to have no agreements with heathen nations? I learned about Kennedy’s assassination around 7:00 pm from a colleague who heard it on his short wave radio. (I was a TAP teacher on a Swedish mission station in the lower Congo). More tragedies followed: Martin Luther King and Robert Kennedy while I was in Paris and then 9/11 while Nancy and I were in Montpellier in charge of a cross cultural group. Thanks Carroll for the consolation, on the naive score, that is! And I appreciate your story about the NATO pact and your worries about it. We will be seeing our grandchildren in the next while, and it’s good to be reminded how sensitive to both world events and spiritual matters they often are. As you were. What a generous heart, Dora! Someone on Jacqueline Kennedy’s staff must have read your letter and smiled, showed it to others. At least I hope so. I would never have even thought of writing a letter, even when I was 13. All I remember of that time is watching TV, in crisis mode–observe; pay attention; don’t jump to conclusions. In personal crisis that detached observation is a prelude to considered action. But here, with Kennedy, it led nowhere except endless television viewing. Oh Loretta, thanks for your kind words. As far as the endless television viewing, it seemed a particular mark of that event; the first of its kind, I’ve heard commentators say. That ongoing coverage apparently matched only by the events of 9/11. — If the little letter got a smile or two, that’s good too. I imagine there was quite a variety of them.